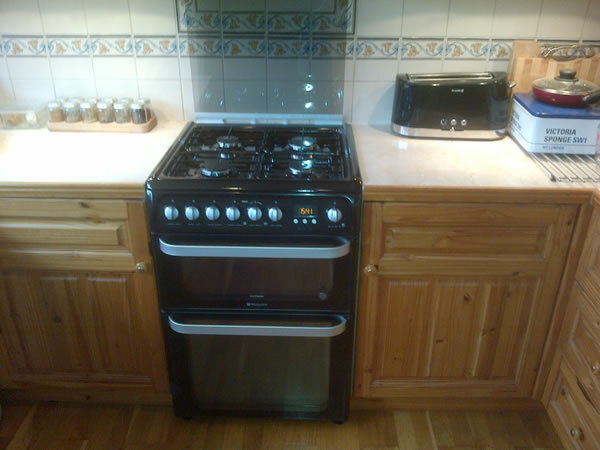 One of our customers in Ashtead decided he wanted to get rid of the electric hob and separate oven and wanted Mint heating and Plumbing to alter the worktop and cupboard, run a new gas supply from the nearest location and install a free standing gas cooker which worked very well. All our engineers are gas safe registered and carry out services and installation on most appliances. 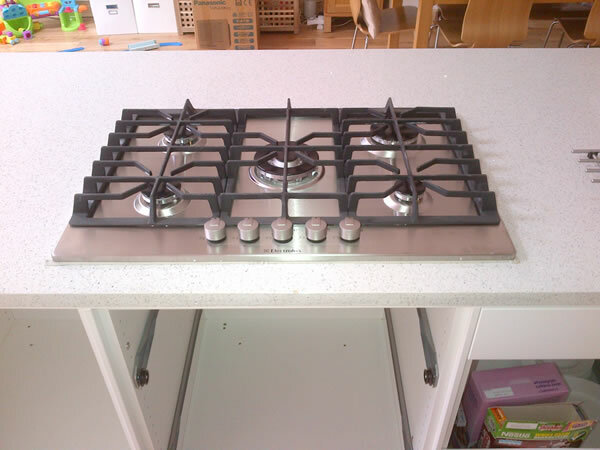 Here we fitted a gas hob in a property in Banstead. 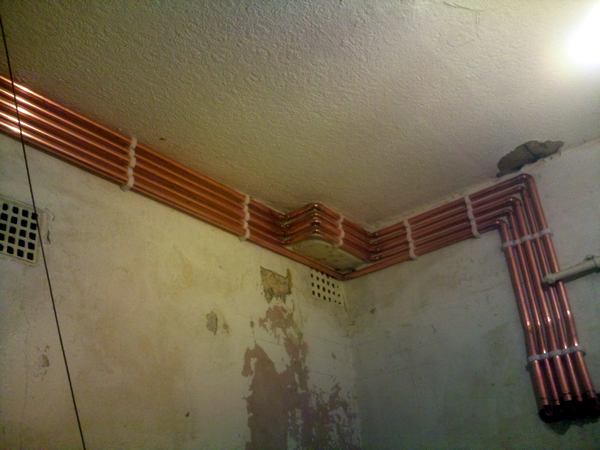 We have such a great a trusting reputation that the customers will leave our engineers to carry out the works whilst they go to work. 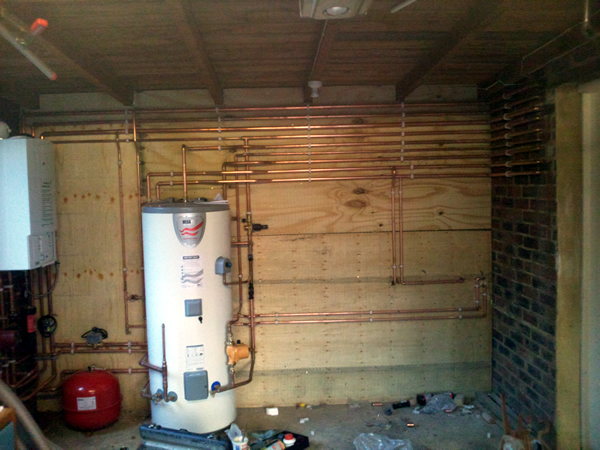 After visiting a property in Reigate/Redhill area, we quoted for a new central heating system. After the quote was accepted and the work was started, we managed to complete the 9 radiator system with a very efficient Worcester Bosch combination boiler in just 3 days with the removal of old tanks, a specialist company for asbestos removal and a roofer for the vertical flue. We had great feedback from the customer saying how efficient, professional and tidy we were through the duration of the job. A far better system than the original warm air unit, with great shower pressure & airing cupboard space. A regular customer of ours in Epsom had a boiler that was on its last legs and asked us for a quote for a new combination boiler. 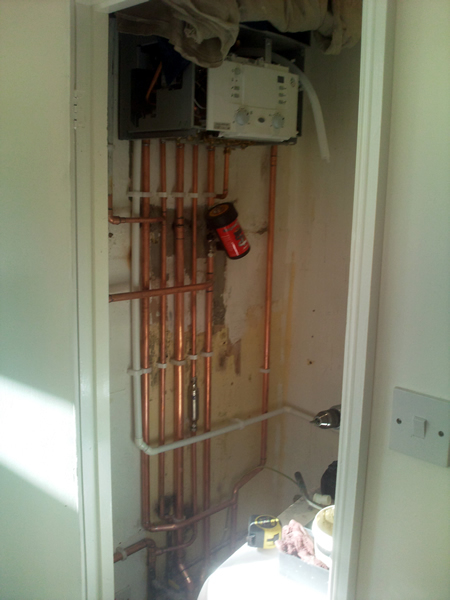 We later installed a Worcester Bosch 30Si combination boiler that performed amazingly on both heating and hot water. We had great feedback from our customer saying how neat and tidy we were and how we respected their home as if it was our own. 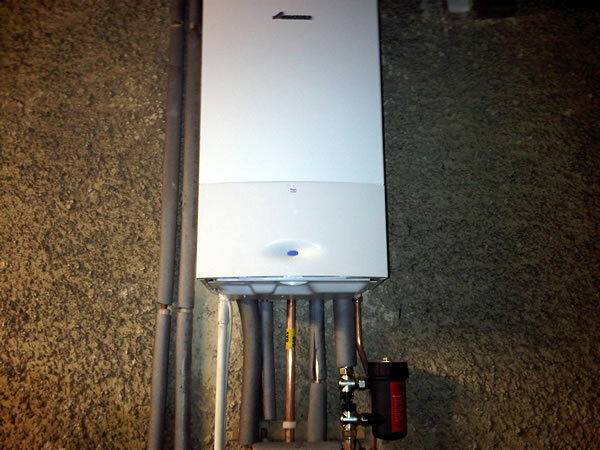 Worcester Bosch 42Cdi Combination Boiler installed in a house in Balham, South London with a wireless Honeywell programmer, Magnaclean system filter and down in the basement a Grundfoss home booster pump for better mains pressure. 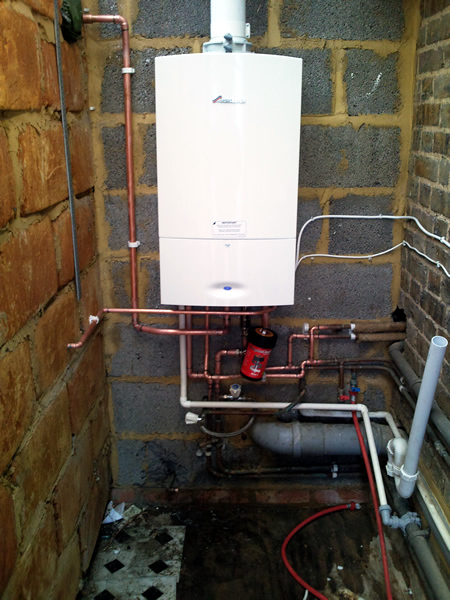 Worcester Bosch 25Si installed in an outhouse in Wandsworth. 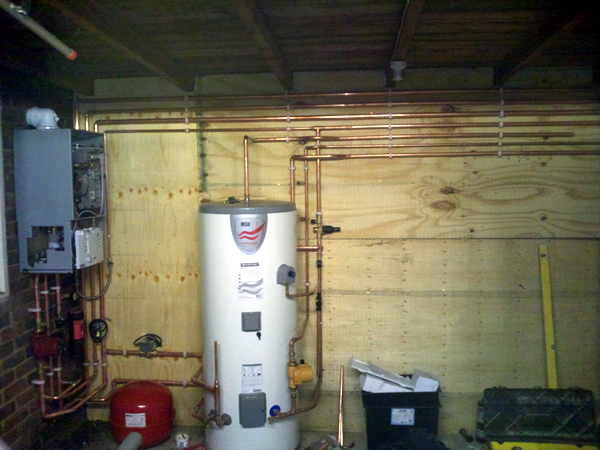 Built in frost thermostat on the boiler and all pipe work fully insulated on completion. 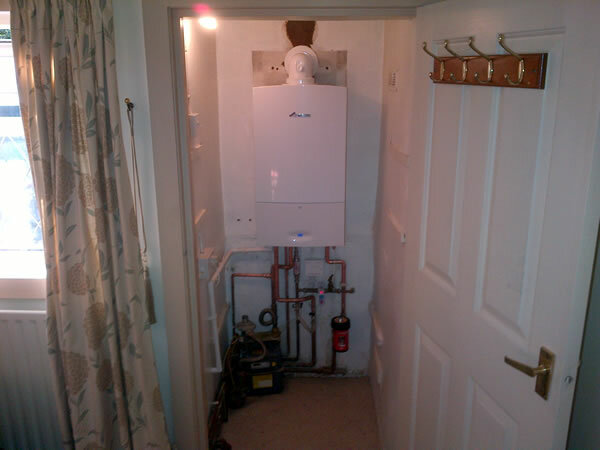 Worcester Bosch 30cdi conventional boiler that replaced a very old floor standing boiler. Now it is a sealed system rather than an open system, so no header tank in loft to worry about in the winter months. 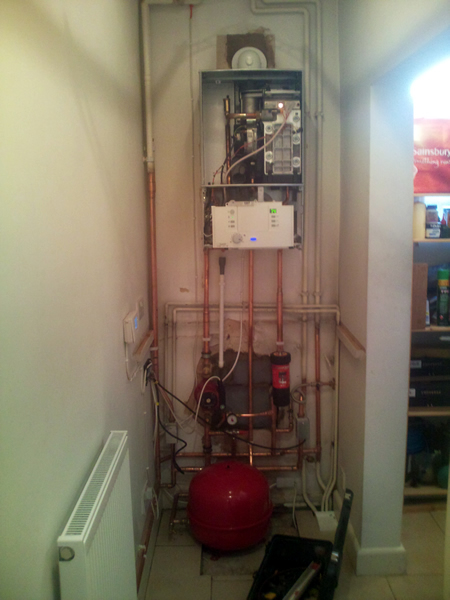 New radiator in utility room and Honeywell programmer installed next to boiler. Further upgrades were a new Grundfoss central heating pump, Magnaclean sytem filter and new motorised valves. Installed in Surbiton. 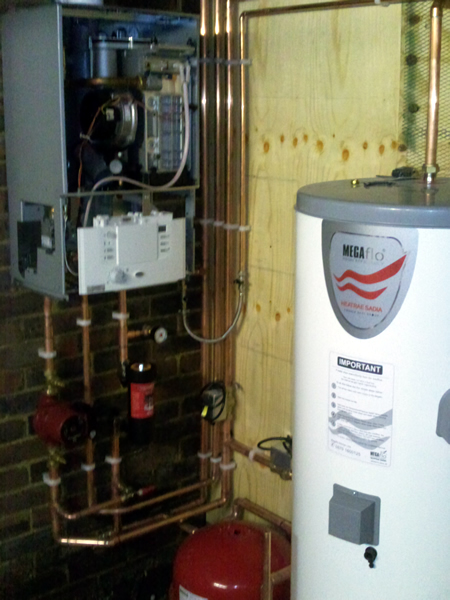 Worcester Bosch 40Cdi conventional boiler installed with a 250Litre Megaflo unvented cylinder in a garage in Dorking. 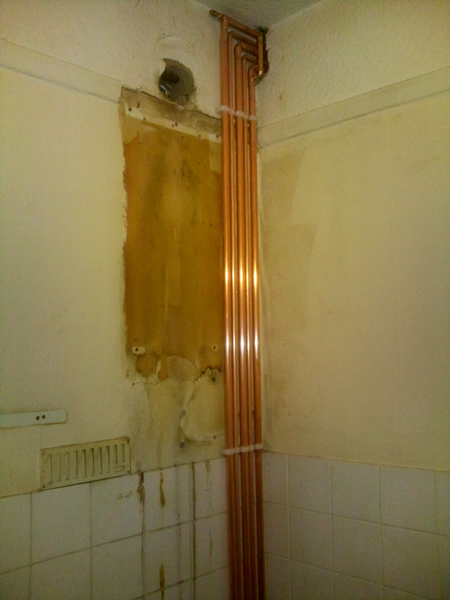 Over 15 new radiators installed with all new pipe work and plumbing. A complete transformation to the house, with a highly efficient and pressurised system. 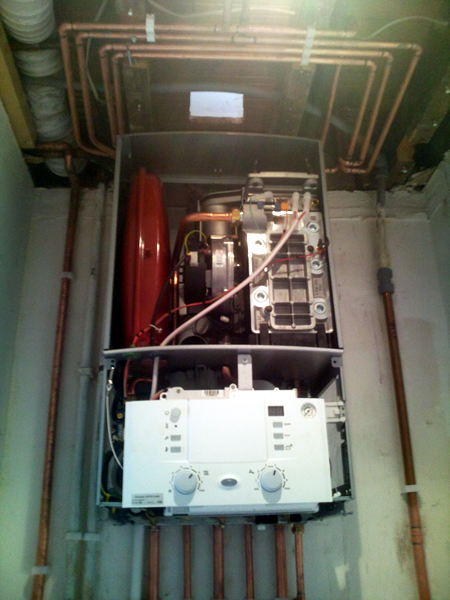 Mint Heating and Plumbing installed a Worcester Bosch 30si combination boiler for a customer in Cheam. 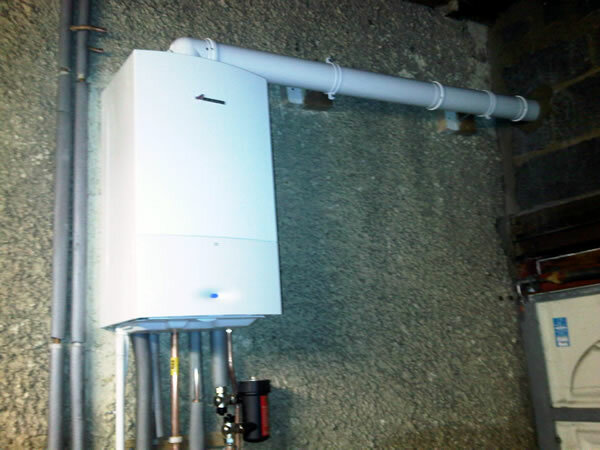 The boiler was installed in the garage which was insulated where possible as it can get very cold in winter months. 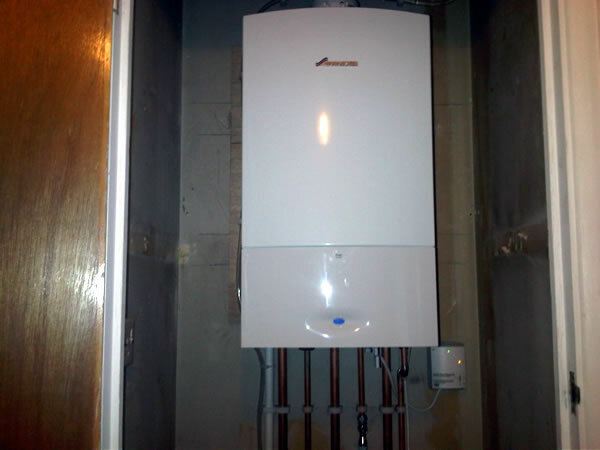 The boiler is fitted with an integral frost thermostat so no need to worry about heating pipes freezing. The installation went very smoothly as our jobs are surveyed thoroughly. As you can see the boiler flue has been supported with brackets which a lot of people forget or even don’t bother about. Be careful when choosing a company to carry out works. Always ask for gas safe identification and choose a company like ourselves that are part of CheckaTrade. Worcester Bosch 25Si combination boiler fitted in Banstead Village (SM7) with a full system Power Flush and thermostatic radiator valves. The customer left us to carry out the works whilst they carried on with their day as usual and to come home to hot radiators and lovely hot powerful water to shower in! Mint Heating & Plumbing is Gas Safe registered and complies fully with all regulations and is fully insured.